Mattress Firm CEO Stephen Stagner, second from right, has made a gift to support and name the sales institute at Bauer College, which will be known as the Stephen Stagner Sales Excellence Institute. Stagner celebrated with Bauer College students and leaders last week at the college’s sales graduation and awards ceremony, including (from left) Executive Professor Randy Webb, Dean Latha Ramchand and Assistant Vice President of Development Maya Houston. The C. T. Bauer College of Business at the University of Houston has announced that Mattress Firm CEO Stephen Stagner has made a gift to name the college’s sales program, now known as the Stephen Stagner Sales Excellence Institute. The announcement was made during the program’s Graduation & Awards Ceremony, which celebrates the achievements of the sales program and its students and faculty each semester. The new class of students in the institute’s Program for Excellence in Selling (PES) is also inducted during the event. Stagner’s involvement with Bauer College began as a guest speaker in a PES class, where he observed the depth and breadth of the sales curriculum at the college. Since then, Stagner has remained involved with the college as a strong PES supporter, recruiting several graduates of the program and frequently speaking to students, including a keynote address last semester at the Graduation & Awards Ceremony. Department of Marketing & Entrepreneurship Chair Ed Blair agreed, noting that the sales curriculum offered at Bauer College is unmatched elsewhere in the nation. “We have a unique curriculum that features live selling, outstanding faculty and staff with extensive sales experience, and wonderful stories of students who have overcome adversity to achieve success,” Blair said. Founded in 1996, the program was built with a mission to become the leading global network for sales knowledge and education through exemplary research, custom executive education solutions and degree programs. SEI strives to make a difference in the world of ideas, in the lives of students and in the college, university and communities. The institute’s undergraduate offering, PES, is a unique and diverse organization with students from varying ethnic and professional backgrounds, experiences and ages. In 2016, PES will celebrate its 20th anniversary, now with over 2,200 alumni and relationships with over 1,000 organizations across the globe. The Stephen Stagner Sales Excellence Institute is sponsored by more than 25 corporations, including 3M, Citgo, Ecolab, Liberty Mutual, Schlumberger and others, that contribute to the professional development of Bauer sales students by speaking to classes, mentoring students and attending events and meetings. 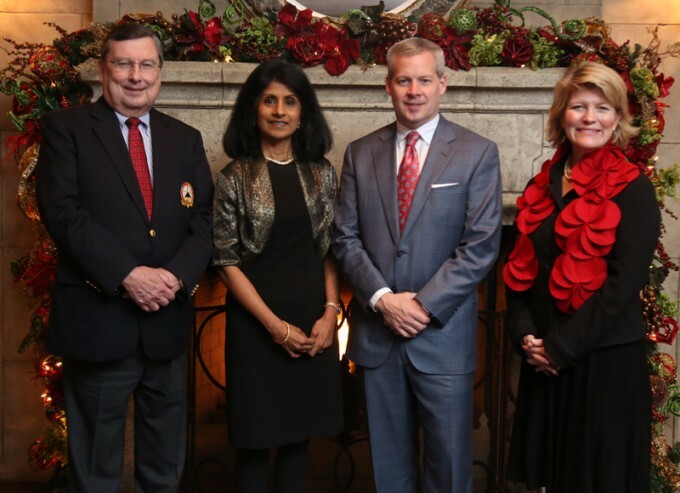 C. T. Bauer College of Business Dean Latha Ramchand announced on Dec. 3 that the Bauer College Sales Institute will now be named the Stephen Stagner Sales Excellence Institute thanks to a gift from Mattress Firm CEO Stephen Stagner.